New Hampshire Rep. Paul Hodes, a Democrat, will announce this week that he plans to seek Judd Gregg’s vacated Senate seat in 2010. 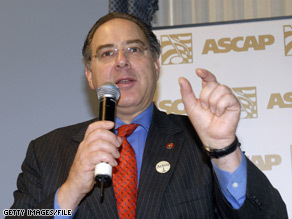 WASHINGTON (CNN) - New Hampshire Rep. Paul Hodes, a Democrat, will announce in the coming week that he plans to seek Judd Gregg’s vacated Senate seat in 2010, according to a source close to the congressman. Gregg was appointed by President Obama to head the Commerce Department on Tuesday. New Hampshire Gov. John Lynch is likely to appoint Republican Bonnie Newman to fill out the remainder of Gregg’s term, setting the table for an open-seat contest in 2010. Hodes, an attorney from New Hampshire’s 2nd congressional district, has been on Capitol Hill for just two years. He was first elected in 2006, after unseating Republican Charlie Bass. He released a statement Tuesday cheering Obama’s selection of Gregg to head Commerce. UPDATE: A Democratic source told CNN that New Hampshire Rep. Carol Shea-Porter is also considering a run for Gregg's seat, but has not made a decision. She is, however, "keeping the door open." In a statement, Shea-Porter said she is focused on her current job in the House of Representatives. "It is still very early and I am focused on my work for New Hampshire and the country," she said. There is more to this than meets the eye. I am counting on a variation of this theme to undercut the motive to replace a GOP senator to garner the desired 60 vote margin in the Senate. My guess is that promises can be changed and the Senate can gain that desired 60 vote situation so that Obama can get his bill through. Gregg would never have been selected unless this 60 vote level was ever contemplated. I think that the promise made to Gregg by Obama is merely a parting gesture that Gregg will not have sold out to the Democrats and throw mud in the faces of the Republicans that he is leaving. Something is NOT rotten in Denmark this time, only the appearance of rotten for the GOP only! "The water was really really cold." If most of us were asked by the president to serve in his cabinet we would do so. It is to bad that republicans have to spin everything and make it so partisan. The country is tired of this and the republicans are mostly responsible for it. Simpliticus–have you thought about the fact that in 2010 the whole game will change. There are numerous senate seats up for grabs in this next senate election. There are no guarentees and there are endless possibilities. Dispense with the radical paranoia–could it be that President Obama picked Mr. Gregg because he thought he would be a good fit? He better get his taxes cleared up before then or the journalists and repubes will fry him. The 2010 election will be like a live circus. All the GOP will be scrambling like chickens with their heads cut off. Simpliticus, you hit the nail right on the head.